PRINCETON, N.J. — The Roman College Basketball Invitational (CBI) committee finalized its 16-team field where Howard University was among the squad’s invited to this year’s tournament. The announcement came Sunday evening after the NCAA Selection Show. The 12th annual CBI Tourney begins Tuesday with one first-round game, followed by the remaining seven contests Wednesday. HU will be among the seven games playing Wednesday night when they travel to Conway, S.C. where the Coastal Carolina Chanticleers await. Tip-Off is scheduled for 7 p.m. This will be the first time the two teams have met on the hard court. The CBI is a single-elimination tournament up until the best-of-three Finals, with all games played at campus sites. After the First Round games, the Quarterfinal Round will take place on Monday, followed by the Semifinal Round on Wednesday or Thursday. Before the semifinals, the remaining teams will be re-bracketed. The Finals series is a best-of-three in which one team will host two of the three games. Those games will be played on April 1, April 3, and April 5. 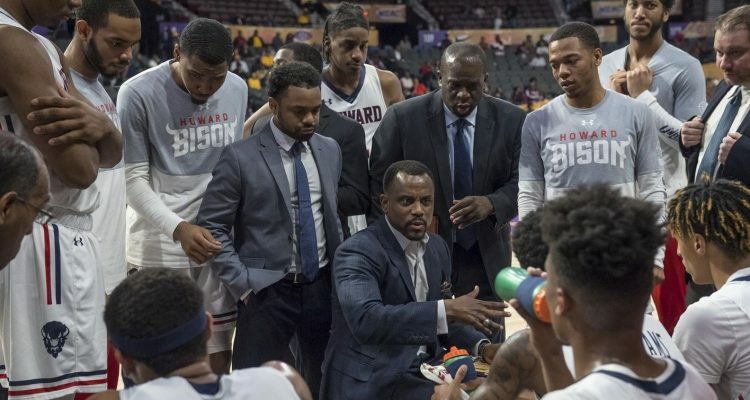 Howard enters the field playing in their first postseason tournament since 1992, the same season they won the Mid-Eastern Athletic Conference (MEAC) Title. Currently, the Bison are riding an eight-game road winning streak. Past CBI champions include Tulsa, Oregon State, VCU, Oregon, Pittsburgh, Santa Clara, Siena, Loyola Chicago, Nevada, Wyoming, and North Texas. Teams from nearly every conference have participated in the event. Twenty-seven teams have used the CBI to springboard to the NCAA Tournament the following year, while another 19 have gone on to the NIT. Can you provide information on Kevin Nickelberry resigning as Howard University Basketball Coach.